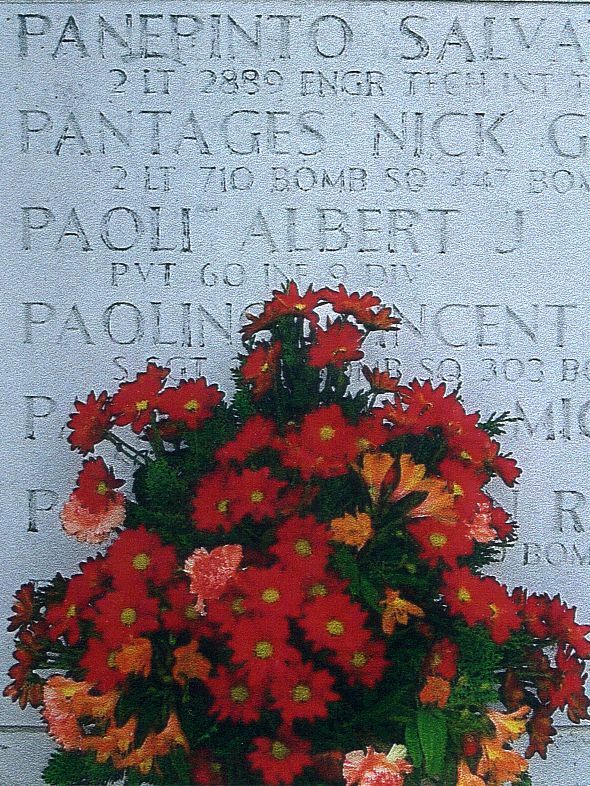 Albert J. Paoli was born on April, 9th, 1924 in Collinsville, Madison County, Illinois. Albert attended grades 1 through 8 at S.S. Peter & Paul Catholic School in Collinsville and then went on to high school at Collinsville Township High School for three years. 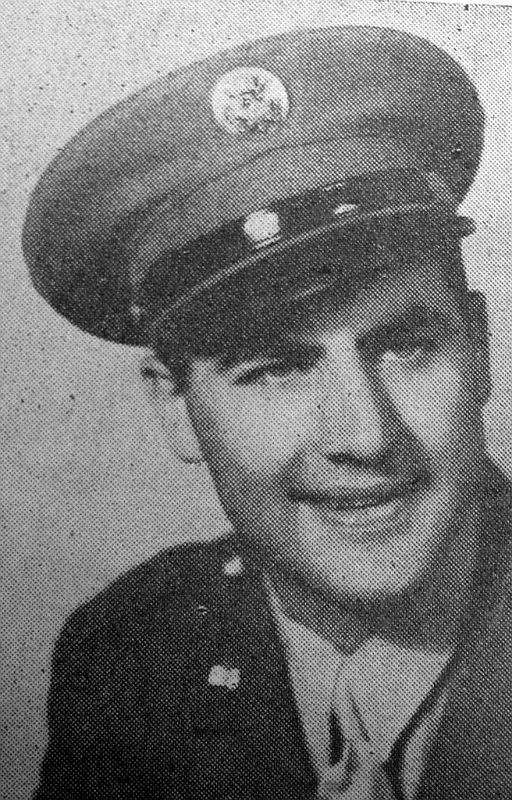 After two months had passed in his senior year, he was inducted into the armed forces on July 7th, 1943, and received his infantry training at Camp Hulen, Texas. 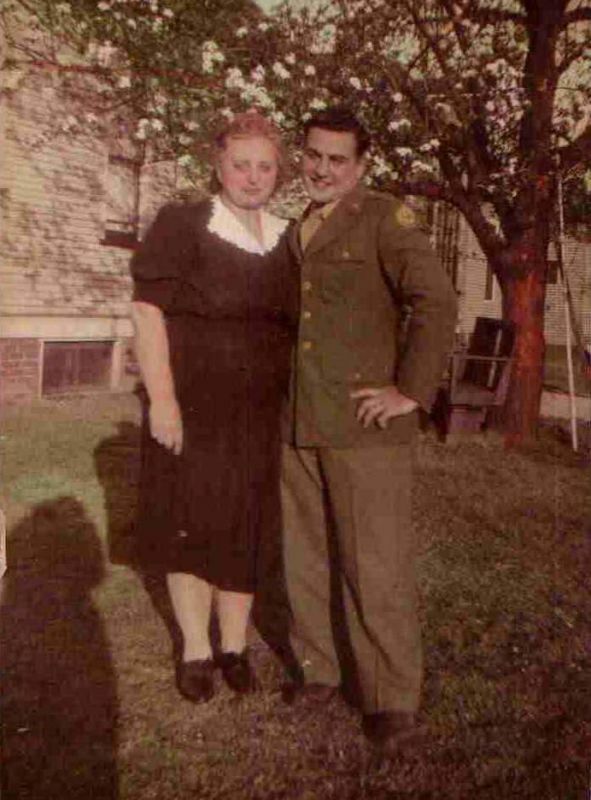 Albert and his mom in 1944 before he left for overseas duty. Albert was sent overseas sometime in September, 1944. 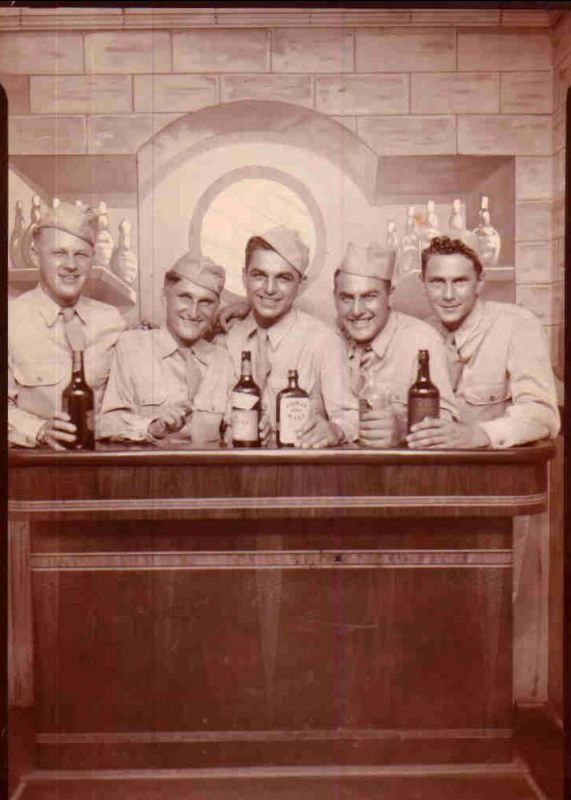 After being stationed in England, he moved on to France, Belgium, Ireland, Scotland, and then Germany. When Albert arrived in Germany, he was placed right in the middle of the Battle of the Hurtgen Forest. Men of the 39th and 60th Infantry Regiments were attacking from the forest area west of the town of Germeter. The attack started on October 6th, 1944 and was a though battle from the start. Cut down by artillery, mortar and machine gun fire, advance was slow. After 10 days of heavy fighting, the 60th Infantry Regiment lost thousands of men. In the period between October 16th and October 20th 1944, the 60th Infantry Regiment continued to set up defensive measures by the placing of tactical wire with booby traps in front of the forward positions. Road blocks and mine fields were established on the roads in the vicinity of Germeter. Extensive patrolling was conducted to determine positions and strength of the enemy to the southeast. These patrols were used for local security as well. 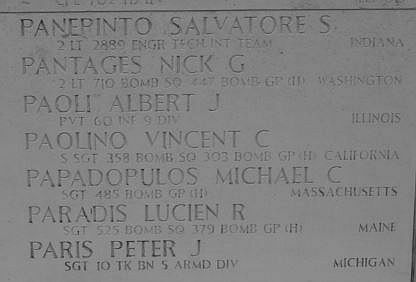 It could be that PVT Albert Paoli went MIA during one of these patrols or attacks. According to official war correspondence by the War Department with Albert’s mother, he took part of an attack to hold the high ground covering an important road in the vicinity of Germeter. The attack was made under stiff enemy resistance and there were a great number of casualties. Although the high ground was taken and held throughout the night, strong enemy attacks forced Albert’s unit to withdraw the next morning. Heavy enemy action made evacuation of the casualties impossible. During roll call later that day on October 18th, 1944, Albert was not present, and a search in the area did not result in finding him. During these October 1944 days, the fighting was though. Many units fought closely together, and sometimes the lines crossed and men wandered into the other unit’s area. From the After Action Reports and Combat Interviews we do know that the area where Albert was last seen alive would have been just east or south of Richelskaul, and east or west of the 399 Road. Albert’s mother received a telegram from the War Department on Monday, November 13 1944 stating his Missing In Action. Albert ‘s name on the 60th Infantry Regiment casualty list. 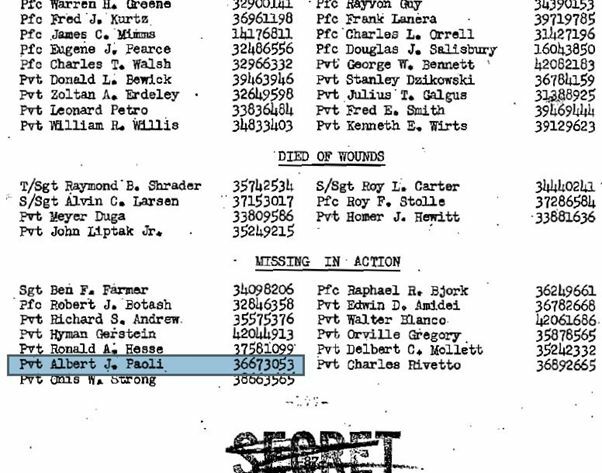 Private Paoli is mentioned on the Wall of Missing at the US Cemetery at Margraten, the Netherlands, and has his own military marker set at Saints Peter & Paul Catholic Cemetery in Collinsville, Madison County in Illinois. 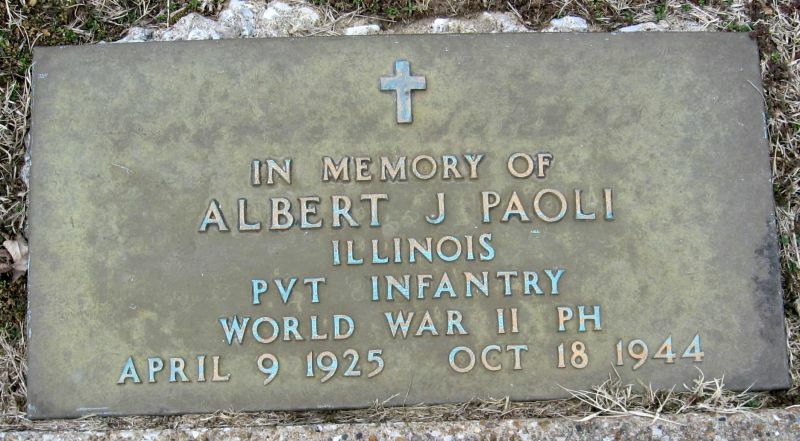 Albert Paoli’s Grave marker at Saints Peter & Paul Catholic Cemetery in Collinsville, Madison County, Illinois. The Wall of Missing at the US Cemetery in Margraten, Netherlands. Flowers for Albert at the Wall of Missing. Even though Private Paoli went Missing In Action, his service and actions in order to free Europe from the Nazi Occupation will never be forgotten. I would like to give a special thank you to the Paoli Family and Patricia Davidson – Peters for all the information provided here.